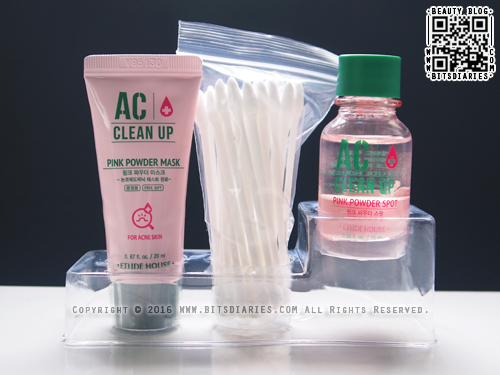 The one I have is a sample/travel size (20ml) that comes in the AC Clean Up Pink Powder Spot Set. The actual retail size is in 100ml. 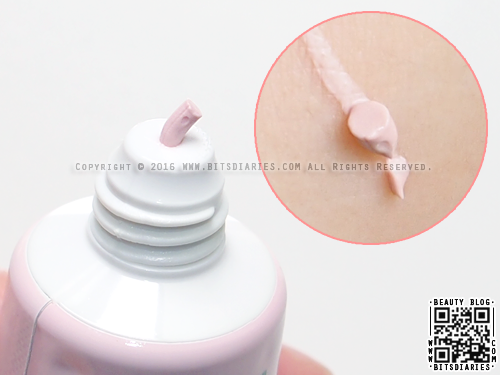 FYI, the reason I didn't buy the full size is because I don't use it as often as compared to the Pink Powder Spot. Therefore, I prefer to get the set version instead. 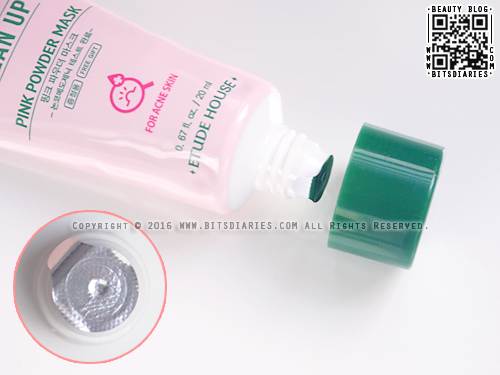 The sample/travel size comes in a soft squeezable tube with a plastic twist-off cap, and the opening is well-sealed with a foil. The mask has a creamy clay texture that glides on skin easily. 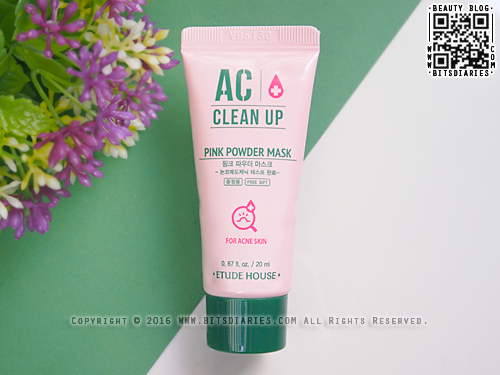 It contains Vitamin E-infused pink beads/capsules that dissolve during use, thus releasing the nutrients into the mask to give moisture and nourishment to the skin. 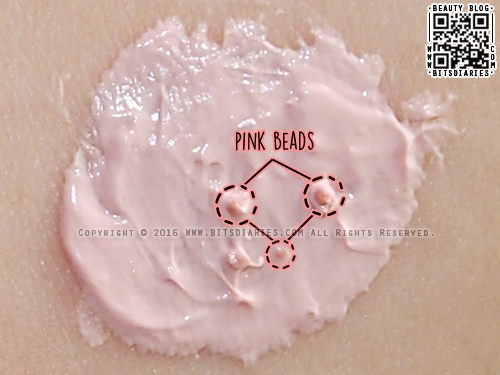 These beads also act as a gentle exfoliant to remove dead skin cells. After cleansing, apply an adequate amount all over your face. Leave it on for 10 to 15 minutes, then wash it off with lukewarm water. You can also use it as a targeted spot treatment. I only use this mask when I have pimples, and I usually apply a thin layer (just enough to cover my skin) as shown in the following picture. Note: Thick layer takes longer to dry. This time, I don't have before and after pictures to show you, but I can say IT WORKED WONDERS! In terms of oil control, I haven't noticed any difference. I use oil blotters throughout the day anyway, so I don't really mind. It's easy to rinse off and leaves skin feeling clean and smooth with no dry or tight after-feel. So, does it work to treat acne? YES! It accelerates the healing process of acne and prevents breakouts. If you are looking for a mask that treats acne, give this a shot! 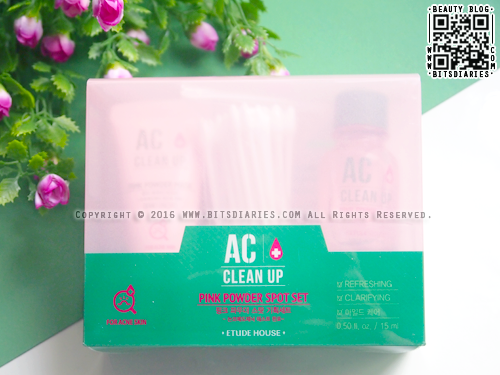 I love your review:) I am currently using the pink powder mask too and I love it! So I'll use this after I wash my face? Then after I apply this and wash it off, that's when I'll apply the toner and moisturizer next? Am I right? 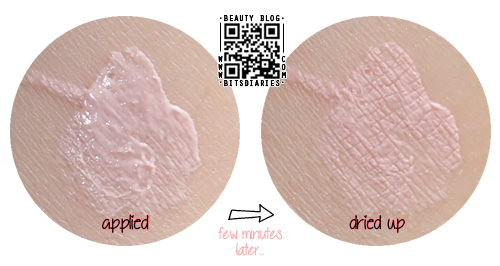 Hi.. when u use it as a spot treatment, do u leave it overnight just like the pink powder spot?